Vivo V15 Pro has been officially launched in India at an event in New Delhi. The successor to the V11 Pro comes with bumped-up specifications including a pop-up selfie camera, much like what we have already seen on the Vivo Nex, but with a 32-megapixel sensor. The Vivo V15 Pro also has a setup of three cameras – the first time on a Vivo phone – comprising a 48-megapixel Quad Pixel sensor among the other two. The Vivo V15 Pro will be available to buy at a price of Rs 28,990 for the lonesome RAM and storage variant. It comes in Topaz Blue and Ruby Red colour variants. The pre-bookings for the smartphone are now live. The smartphone will go on ‘Super Day’ sale on March 6 via Flipkart, Amazon, and Vivo online store. It will also be available to buy via offline stores. The Vivo V15 Pro is touted to be the world’s first smartphone with a 32-megapixel pop-up selfie camera. The front camera on the smartphone has been equipped within the phone’s cabinet which sticks out only when the camera app is opened or facial scanning is required. This is similar to the pop-up camera available on the Vivo Nex. There is a combination of three cameras on the rear of the Vivo V15 Pro. The smartphone bears a primary 48-megapixel Quad Pixel sensor with an aperture of f/1.8. The other two cameras include an 8-megapixel Super Wide camera and a tertiary 5-megapixel camera. The cameras are accompanied by an LED flash module. The cameras are powered by AI capabilities, the company says, will offer features such as AI Portrait, AI Beauty, and body shape correction. Vivo V15 Pro sports a 6.39-inch full-HD+ Super AMOLED Ultra FullView display with a 91.62 per cent screen-to-body ratio. There is no notch on the top as the front camera, for which it is required, has been moved within a motorised tray on the top. There are thin bezels on the smartphone along with a narrow chin at the bottom. The smartphone runs Funtouch OS based on Android 9 Pie. The Vivo V15 Pro is powered by an octa-core Qualcomm Snapdragon 675 AIE processor, making it the first such smartphone in India. The smartphone packs a 6GB RAM and 128GB of internal storage, which can be expanded further via a microSD card slot. 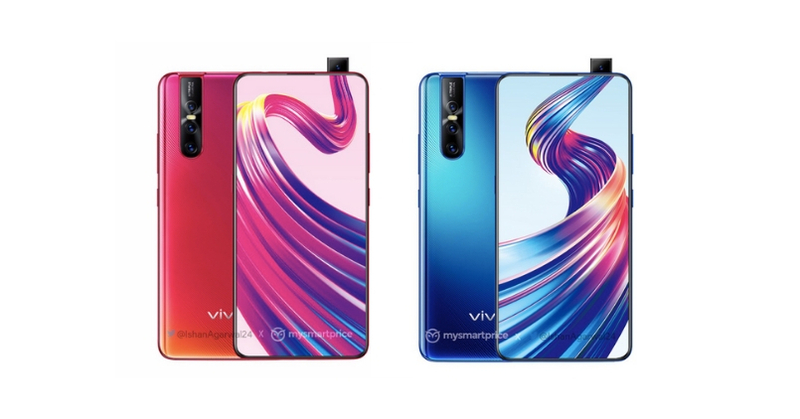 The smartphone has a 3.5mm headphone jack and an earpiece speaker, which has been retained unlike the one on the Vivo Nex. The Vivo V15 Pro has Dual Engine fast charging on a 3700mAh battery under the hood.